If you need a battery in a hurry or a new or part exhaust, not a problem! Just telephone with your vehicle registration number and we can quote you for your new part. In most cases, it can be delivered and fitted same day. Just call in and we will be happy to road test your car and advise if you have a problem. If a faulty clutch is diagnosed, we can quote for a replacement and offer a free courtesy car if required. If you are not sure about tyre condition, pressure or under bonnet levels, we can check this while you wait. If you need a light bulb or wiper blade, Wellbrook stock most common items and they can be fitted while you wait. 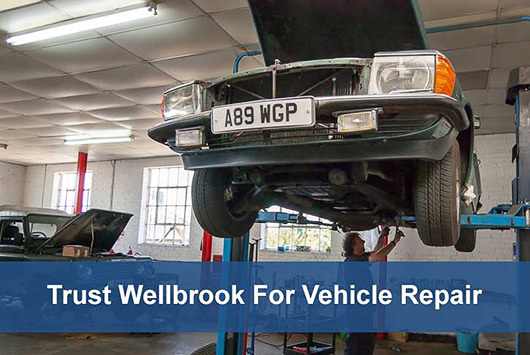 Wellbrook Motor Services for MOT, Service & Repair based in Mayfield, East Sussex for all makes and models including Alfa, Audi, BMW, Chrysler, Citroen, Fiat, Ford, Honda, Hyundai, Jaguar, Jeep, Land Rover, Mazda, Mercedes, Mitsubishi, Nissan, Peugeot, Renault, Saab, Seat, Skoda, Subaru, Toyota, Vauxhall, Volvo.